The media students and artists at Dun Laoghaire College of Further Education (DCFE) have secured a partnership deal with Nielsen Music to release their new album “Native”. Under this partnership, Nielsen Music are introducing students to music media monitoring and digital tracking, which has a value of over €2,000. “Native”, will be released globally on various digital platforms and will receive a physical release in Tower Records on Friday 23rdof March. DCFE’s label in the past has secured four hit albums, two top 5’s and they are hoping to build on this success as they aim for the coveted no.1 stop. 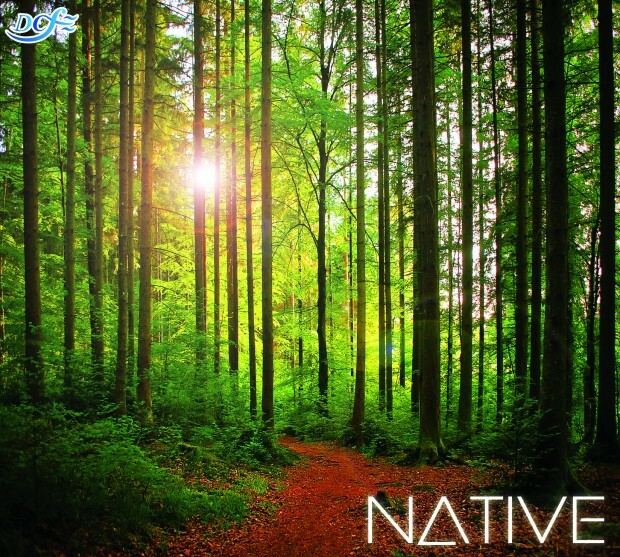 “Native” features a diverse mix of credible home-grown musicians, producers and bands to form professional album, featuring an eclectic mix of Alternative Rock, Rap and Dance so there is an song for everyone. One of the tracks “The National” by Lethal Dialect has already received national exposure through RTE’s hit show Love/Hate . Other artists include; Tremoya, One of the Boys, Spinafly & DJ Kann, as well as many other exciting acts. Feidhlim Byrne, from Nielsen Music added “It is an ideal platform for artists and students to see how media monitoring works in a real life setting. We are delighted to be involved in the project”. John McFadden, from DCFE said “With the Nielsen Music partnership, the students have even more industry data to assist in the album’s success. The benefit of this project is that our students understand the process of releasing and promoting an independent album in Ireland”. This partnership is part of an innovative college initiative designed to educate, train and bring together students from a range of specialist courses, covering sound engineering, music media, event management and public relations, in the implementation of a practical, real-life music business venture. Don’t miss ‘NATIVE’ ALBUM LAUNCH ! To coincide with the album release ‘Native’ DCFE will be running an event on the 28th march in the Twisted Pepper. Doors open at 7.30 and you can gain entry to this event at the door on the night or by purchasing advance tickets. Tickets can be aquired by purchasing our college album ‘NATIVE’ which goes on sale on Fri 23rd march in Tower Records. 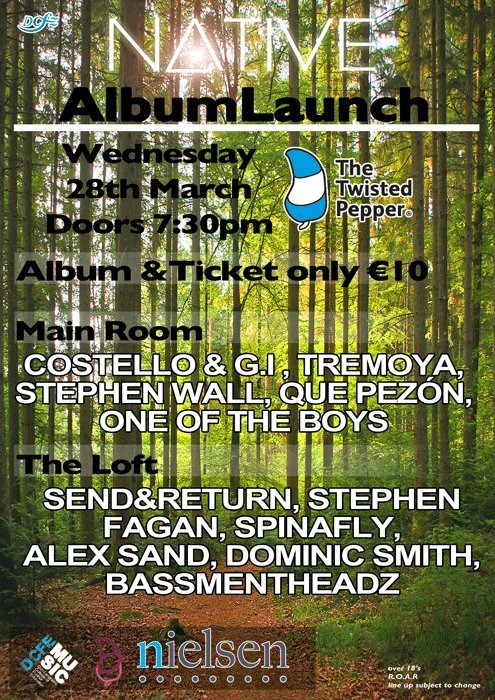 For €10 you will recieve a copy of the album and inside the album package there will be a ticket to the Twisted Pepper event !! !